When was the last time you gave a gift to a loved one expecting a payment in return? Probably never because if you receive payment for a gift, it ceases to be a gift! Likewise, God’s gift of salvation has been freely given. We can’t earn it and He doesn’t expect payment for it. God wrapped His indescribable gift in eternity, equality, deity, and humility. Open it today! Grace envelopes you every day of your life and is at the heart of your eternal salvation. It removes all human effort from God's plan. Grace is truly amazing! While you and I may not have the sculpting skills of Michelangelo we are able to use something even more powerful, our words. Q & A: Why is the Virgin Birth Important? The doctrine of the virgin birth, or perhaps more accurately the virgin conception, is important for many reasons. On it hang the doctrines of original sin, the inspiration of Scripture, who Jesus was, and what Jesus did in salvation. Nostalgia. That abnormal yearning within us to step into the time tunnel and recover the irrecoverable. That wistful dream, that sentimental journey taken within the mind—always travelled alone and therefore seldom discussed. Our sentimental approach to Christ’s birth sanitizes the event to the point where we re-cast the story for palatability, nostalgia, and commercial manipulation. The Gospel of John takes a unique approach to the Christmas story. It makes no mention of the angels, shepherds, or wise men. 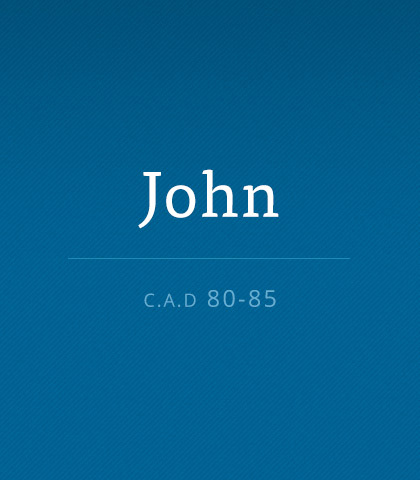 Rather, John describes Jesus as the eternal Word that became flesh. What does it really mean to be called “a man or woman of God”? Chuck Swindoll answers that question by describing a most unusual man named John the Baptist.